The 2010 results of the UK Superbrands research were recently announced. The annual Superbrands programme recognizes the UK’s strongest business to business brands. It was a close run thing between ACCA and CIMA with ACCA being identified as being number 304 and CIMA being one ahead at 303. It was virtually a tie between the two institutes so it’s nice to know that they are both considered to be top brands in the UK. In case you’re interested the top brand in the UK according to the 2010 Superbrands research was Microsoft. Last week the UK chancellor unveiled his budget. The general consensus seems to be that it wasn’t a particularly exciting budget with the chancellor playing safe on most things. What has caught the public eye though is the announcement that duty on cider (an apple based alcoholic drink) would increase by 10% above inflation. This would add approximately 5p to a litre bottle of cider. This has upset the cider drinkers and thousands have joined facebook groups hoping to get the decision reversed. We mentioned the C&C group in a previous blog about spreadsheets. The C&C group own the Magners cider brand which is one of the best known cider brands in the UK. The change in duty imposed by the chancellor is a classic case of how the “P” (Political) in PESTEL can impact on a company. Magners has reacted quickly to this though by launching a press campaign saying that they will cover the increase in duty and will not increase their prices. The C&C group may meet the “P” again soon though as there is discussion about the Scottish government introducing minimum unit pricing for alcohol in order to try to curb the health problems involving alcohol that are present in Scotland. The C&C group dominates the Scottish lager market with the brand Tennents. So, if somebody asks you what is the link between cider, lager and PESTEL you now know the answer. You’d think that an airline with grounded planes would have a falling share price? Think again. At the time of writing this, British Airways’ cabin crews are on strike, claiming that management has attempted to impose harder working conditions on them. Both the airline and the labour union acknowledge that BA must make very substantial cost savings in order to survive, so the dispute is about where those cost savings can come from. BA have contingency plans which they claim will get 65% of passengers to their destination, including “wet leasing” aircraft from other airlines. It’s one of the biggest news stories in European business at the moment. Against a backdrop of record trading losses, costs of a strike (lost revenue, lost goodwill, extra standby costs), you might well expect the share price to fall. In fact, since the start of 2010, British Airways’ share price has steadily risen by 20%. The actual announcement of the strikes had no significant effect on the share price at all. How can this be? The answer is simply that the share price in an efficient market reflects expectations about long-term future profitability. BA is seen by many analysts as a company with a great core business, but with simmering problems with unrealistic labour unions and inflated staff costs. This has long produced a discount on the company’s share price, with low P/E ratio. The fact that this has erupted into a strike has long been anticipated, so its actual occurrence hasn’t surprised anybody. Indeed, the market’s confidence in the long-term future of the company appears to be rising, as Willie Walsh, the airline’s CEO, is seen as tackling some of the company’s deepest long-term problems instead of skirting around them. Regardless of the alleged rights and wrongs of the dispute itself, it’s an interesting illustration of how share price valuation actually happens and how markets for some very deeply traded shares do appear to be rational. https://www.theexpgroup.com/wp-content/uploads/2018/06/styleguide-EXP-4.png 0 0 Steve Crossman https://www.theexpgroup.com/wp-content/uploads/2018/06/styleguide-EXP-4.png Steve Crossman2010-03-24 06:55:202010-03-24 06:55:20You'd think that an airline with grounded planes would have a falling share price? Think again. You’ll save paper but not VAT after 1 April. I’ve just come back from a short trip to the States. Whilst in most European countries VAT is taken for granted, in the US there is considerable debate over whether a VAT system should be established. Although there is no VAT in the US at the moment, there are in fact sales taxes present in a number of states. What is interesting is that in some shops the sales tax is shown on the price of the goods on display whilst in others the sales price is not shown on the display but instead is added at the checkout. Studies have shown that in the US people are less likely to purchase a product if the sales tax is shown on the displayed price rather than added at the checkout. However, whilst this is interesting every good student of ACCA or CIMA knows that the price shown in the UK on business to business transactions is net of VAT (i.e. VAT exclusive – excluding VAT) whilst goods for sale to the public are generally shown gross of VAT (i.e. VAT inclusive – including VAT). On the subject of VAT in the UK, there was a recent change announced to the VAT filing system. In an attempt to reduce the level of filing of paper VAT returns, from April 2010 all businesses with an annual turnover of £100,000 or more will have to file VAT returns electronically and also pay VAT online. In addition, any business registering for VAT on or after 1 April 2010 will also have to file and pay online. From an environmental point of view this is good news as the amount of paper that is used for paper return completion and submission is huge. So, is the paperless office coming closer? https://www.theexpgroup.com/wp-content/uploads/2018/06/styleguide-EXP-4.png 0 0 Steve Crossman https://www.theexpgroup.com/wp-content/uploads/2018/06/styleguide-EXP-4.png Steve Crossman2010-03-22 00:15:522010-03-22 00:15:52You'll save paper but not VAT after 1 April. Baking a profit but is the future product or market (or both)? In our last blog entry we discussed the impact of the “lipstick factor” on the performance of some cosmetic companies in the recession. Another company that has performed well in the current challenging business environment is Greggs bakery. Those of you that are in the UK have probably heard of the Newcastle based bakery chain, Greggs. Despite there being a recession the chain has achieved impressive results. Yesterday they announced their results for the 53 weeks to 2 January 2010 with sales up 5% to £658 million and profits up 8% to nearly £50 million. Greggs were reported as saying that their success was down to “great quality, great taste and great value” and it’s no doubt that customers wanting value in this recession have helped them achieve their impressive results. Greggs would make a great case study for ACCA paper P3 and the papers in the enterprise pillar of the CIMA exams. For example, Ansoff’s Matrix (or the product-market mix as it is commonly known) could be discussed (click here for our ExPress notes on P3 which provide more details on Ansoff’s matrix). 1. Present product, present market. Greggs is predominantly UK based but they also had operations in Belgium. In other words, they were selling their existing products in an existing market (Belgium). The options in Ansoff’s matrix for this area are withdrawal, consolidation and penetration. The operations in Belgium were loss making and the view was that this would not change in the foreseeable future so Greggs decided to withdraw from the Belgium market. 2. New product, present market. Greggs has said that they have removed all artificial colours and trans fats from their products. In other words they are introducing new healthier products in their existing markets. This is an example of product development. 3. Present product, new market. There are currently in excess of 1,400 Greggs stores in the UK. Greggs are planning on opening another 600 stores in the next few years. This is a classic case of market development where existing products are released in new markets. Bakeries can very much be considered to be a traditional industry but if Greggs has anything to do with it then it will become a growth industry as well. https://www.theexpgroup.com/wp-content/uploads/2018/06/styleguide-EXP-4.png 0 0 Steve Crossman https://www.theexpgroup.com/wp-content/uploads/2018/06/styleguide-EXP-4.png Steve Crossman2010-03-19 09:58:152010-03-19 09:58:15Baking a profit but is the future product or market (or both)? Lipstick and the recession. What’s the link? In one of our previous blogs concerning the strategy papers and the importance of being aware of current issues we highlighted the impact of the recession on the number of people that went to cinemas (the number increased as it was seen as a relatively cheaper form of entertainment compared to eating out at restaurants or attending theater). I was recently buying some cosmetics and got talking to the department manager. She told me about another somewhat unexpected sales success in the current recession. Namely, that sales of cosmetics have increased. Whilst many women are reducing expenditure on most fashion products the sales of cosmetics has increased significantly. Cosmetics have shown the highest growth in the British beauty market with reports of a 7% rise to £1.2 billion. Apparently, this scenario is called the “lipstick factor” and originated in the Great Depression of the 1930s when women were eager to look their best to land a scarce job. Reports say that the average woman in the UK in 2010 now has over £70 of cosmetics in her handbag. So, despite there being a recession on, should the advice be “keep smiling”? https://www.theexpgroup.com/wp-content/uploads/2018/06/styleguide-EXP-4.png 0 0 Steve Crossman https://www.theexpgroup.com/wp-content/uploads/2018/06/styleguide-EXP-4.png Steve Crossman2010-03-15 15:01:542010-03-15 15:01:54Lipstick and the recession. What's the link? Imagine the situation. You’re a partner in one of the most prestigious investment banks in the world, you’re well known in the investment world and are no doubt on a great remuneration package. You suddenly obtain access to some price sensitive information which the public is not aware of. Well, if you are Malcolm Calvert and you were a partner in the investment bank Cazenove, then the answer was to undertake some insider dealing activities which resulted in a significant illegal profit. Calvert obtained some confidential information concerning some upcoming takeovers and told his friend Bertie Hatcher to buy some shares in the companies. As soon as the takeovers were announced to the public the share price shot up and Hatcher sold them and made a profit of over £100,000. In the spirit of the “shadiness” of this whole saga Calvert’s share of the money was given to him in cash in an envelope that had been left with a bookmaker at a racecourse. The conclusion of all of this was a successful prosecution by the Financial Services Authority (FSA) which yesterday ended with Calvert being jailed for 21 months (there was a maximum sentence of seven years for his offences). As every good ACCA F4 student will know insider dealing is the illegal activity of using non-public (ie privileged) information to make a personal gain or avoid a personal loss and as Calvert now knows very clearly can result in jail sentences. Interestingly though, until the 1950s similar “insider trading” activities were considered legitimate. However, we are not in the 1950s but in 2010 and as a result the act of using price sensitive information to trade in shares and profit out of it is illegal. Calvert would have known this had he studied for paper F4. I guess though that for the next 21 months he’ll have plenty of time on his hands. Whether or not he’ll use that time to study insider dealing laws though is another matter altogether! All publicity is good publicity but surely it should be avoided (evaded?) in this case? Previous blog entries have highlighted the distinction between tax avoidance (legally minimising the tax liabilities) and tax evasion (illegal methods of avoiding tax). HM Revenue and Customs have recently announced a new weapon in their fight against people who illegally evade tax. The tax authorities have said that people who have committed tax evasion on or after 1 April 2010 will now not only have to settle the tax owed, pay interest on tax and suffer potential penalties but they will now also face the prospect of having their names and addresses put up on the Revenue’s website for everyone to see. This will apply to people that have deliberately evaded tax of more than £25,000. There’s a saying that “all publicity is good publicity” but I’m not sure that being publicly exposed as a tax cheat is something that a lot of people will be looking for in terms of good publicity! https://www.theexpgroup.com/wp-content/uploads/2018/06/styleguide-EXP-4.png 0 0 Steve Crossman https://www.theexpgroup.com/wp-content/uploads/2018/06/styleguide-EXP-4.png Steve Crossman2010-03-10 15:19:432010-03-10 15:19:43All publicity is good publicity but surely it should be avoided (evaded?) in this case? $25 billion – was the gate strong enough? Our blog post last Wednesday concerning leveraged buy outs (LBO) and Manchester United received some emails from students with a number of them asking how popular LBOs are today. The big picture answer is that they are not particularly popular nowadays for a number of reasons, not least of which is that debt funding at the moment isn’t easy to come by. Given all the turmoil in the financial system over the last couple of years banks are much more risk averse than they used to be. The 1980s was the heyday in terms of LBOs and a good book to read is “Barbarians at the Gate: The Fall of RJR Nabisco”. It’s a well written book which tells the story of the $25 billion battle for RJR Nabisco. Although the event took place over 20 years ago it’s a great read which explains in a very reader friendly way the issues behind LBOs. The book is one of the best read business books of all time and if I’m honest, when I read it it felt more like a thriller than a real life account of corporate America in the 1980s. All in all, a book that I would highly recommend. Of course, if you’re studying for your exams then you may not have a lot of spare time for reading but you can always read it after you qualify! https://www.theexpgroup.com/wp-content/uploads/2018/06/styleguide-EXP-4.png 0 0 Steve Crossman https://www.theexpgroup.com/wp-content/uploads/2018/06/styleguide-EXP-4.png Steve Crossman2010-03-08 10:53:542010-03-08 10:53:54$25 billion - was the gate strong enough? The various professional bodies are always aware of the demand to make their exams more applicable to real-life. There was a recent announcement in issue 03/2010 of the Student Accountant magazine by Lisa Weaver, the ACCA paper P7 examiner. The full article can be found here but the edited highlights are that the P7 exam will now contain more “real life” requirements such as responding to emails. Lisa has stressed that it is only the presentation that has changed and the intention is not to make the exam more difficult. The revised style will apply to exam sittings in 2010 for the UK and Ireland P7 papers whilst for all other adaptations of P7 the new style will apply from the June 2011 sitting. 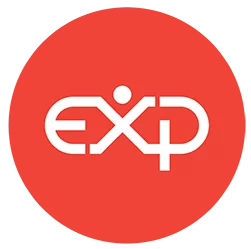 The ExP Group is strongly in favour of any changes that provide more of a real life slant to the exams and our advice to students is this is nothing to worry about. After all, there can’t be many students out there that haven’t replied to an email at some stage!